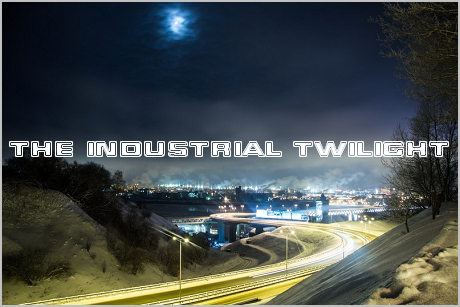 Communist martial industrial? Lol. 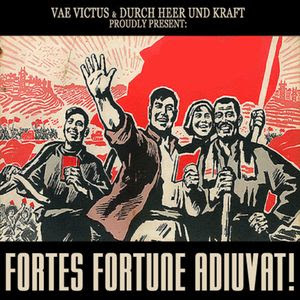 I didn't knew that there are such projects (of course, I know Laibach are left wing and not even stalinist, despite their use of totalitarian imagery - but that's not the case). But taken in account the amateur quality of production, and hilarious tracks names on Vae Victus' side of the split, I must assume that it probably wasn't supposed to be taken seriously. As for Durch Heer Und Kraft's side - the quality of production is not much above amateur too, but their stuff is very catchy, nonetheless. And I'm intrigued by the name of 3rd track - it's an obvious reference to Ilya Masodov, one of my favourite writers. But Masodov's books aren't available in any language other than Russian... so is it possible that he's known in Hungary? I don't know if you would like this release or not, but I think it's worth downloading anyway. Moreover, it's free (at least, freely available on last.fm), and it mean +1 point to my respect for the musicians of VV & DHK. Hey, this is Peter from Vae Victus. No, my music wasn't really meant to be taken seriously. I am a socialist but the Chairman Mao songs were all over the top and tongue in cheek. Thanks for spreading the music! hey, well, i'm from hungary and never heard of your favourite writer. i suppose he is not that well known. I'm not surprised. In fact he isn't well known here outside of the "underground" (industrial/noise fans, etc.) too, as his books are too shocking for general audience. I'm surprised that Ádám Bérces of DH&K apparently knows about him, though.